Whether you’re an armchair athlete or a softball superstar, this guide will help you score the best prices at Academy Sports + Outdoors. 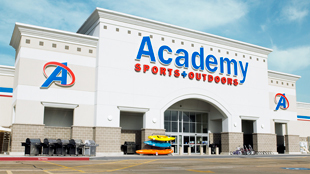 Academy Sports + Outdoors sells recreational equipment, clothing and sporting goods, including a full complement of fishing, hunting and camping supplies. Sometimes you have to pay full cost, but savvy shoppers know that most things eventually go on sale. If, for example, you can wait out basketball season to buy those new high top sneakers, you’ll get a better deal. Time your sports purchases with this Academy Sports + Outdoors sale schedule. Weekly sales: The Texas-based retail chain publishes weekly sales circulars. Fall Hunting Guide: As hunting season geared up this fall, Academy published its 2016 Hunting Guide, featuring savings on guns, camouflage clothing and ammunition. It also included Hunting Hot Deals in that week’s sales circular. You can even pick up a hunting or fishing license at the store. Black Friday: Academy Sports + Outdoors’ 2015 Black Friday sale offered 5 a.m. doorbuster deals, including massive markdowns on Nike and a $100 discount on Smith & Wesson sports rifles. Online sales started the day before Thanksgiving. Shoppers who texted a number provided by the retailer received even more deal alerts, along with weekly ads. Hot deals: You can find discounts throughout the year by checking the Hot Deals section of the website and clicking on the category of your choice. Clearance: When retailers need to get rid of older merchandise, customers generally save. Academy Sports + Outdoors offers deep discounts on items in nearly all categories in the site’s clearance section. Academy Sports + Outdoors says it will beat any advertised price by 5%. And if you buy something from the store and then see it offered at a cheaper price within 14 days of purchase, Academy will refund the difference. Restrictions to apply to both offers. Shoppers who apply and are approved for an Academy Sports + Outdoors credit card save $15 on their first purchase and earn 1,000 points. If you sign up now, you can take $25 off your first purchase. The store offers a weekly sales ad, and customers who sign up for Academy’s mailing list get a jump on the savings by having that e-circular slide right into their in boxes. Academy Sports + Outdoors offers free standard shipping on all shoes and most orders of more than $25. However, if your order is large or heavy — for example a canoe or gas grill — there will be a shipping charge, which is indicated in red on the item’s page. In-store returns are free, whether you bought the item in store or online, as long as you have proof of purchase. Online returns are also free, less any shipping charges. All refunds are based on the original method of payment. There are many restrictions on returning guns and ammunition. Consult the store’s return policy for more information. Keeping yourself in outdoor and sporting equipment can be expensive. But checking out the sales at Academy Sports + Outdoors may help you save money when you shop.